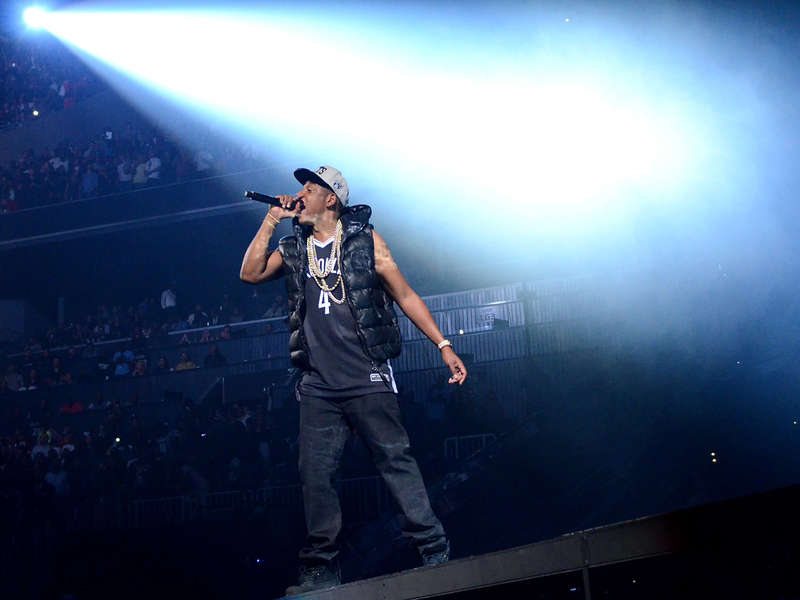 Jay-Z saved the best for last as he wrapped up his eight-show run at the newly-built Barclays Center, the home of the Brooklyn Nets. On Saturday night, the Brooklyn-born hip hop star shocked the crowed of 18,000 when he was joined on stage by his wife, Beyonce. The pop star did a rendition of her 2008 single "Diva" and then sang "Crazy in Love" with her husband. She later came back on stage to join him to perform "Forever Young." Check out a video clip of Beyonce and Jay-Z's performance below.